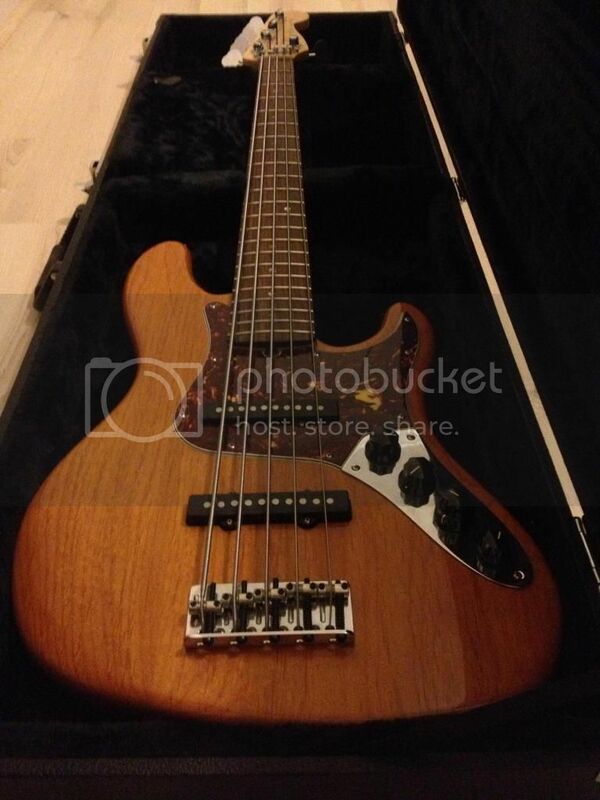 For sale only is my Fender American Deluxe Jazz V in Amber/Natural finish. It's either 2006 or 2007. 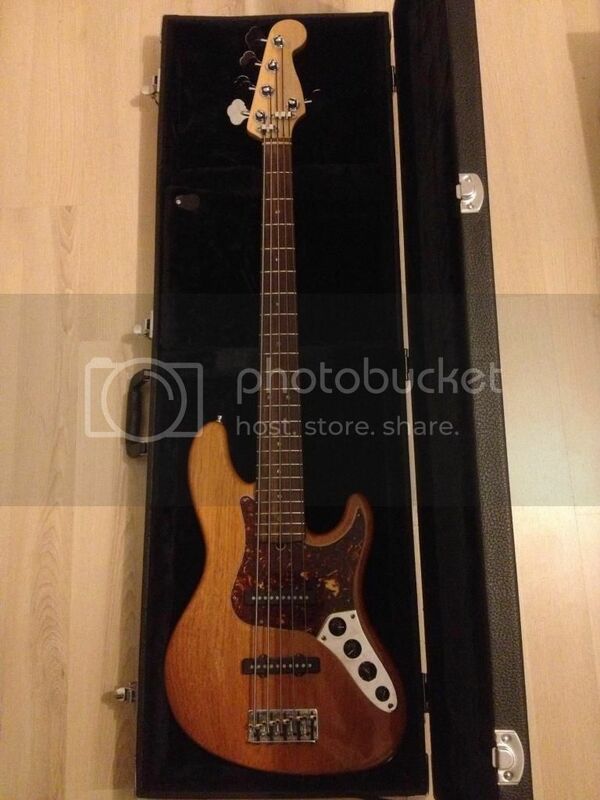 Well looked after bass, as new condition and never gigged. 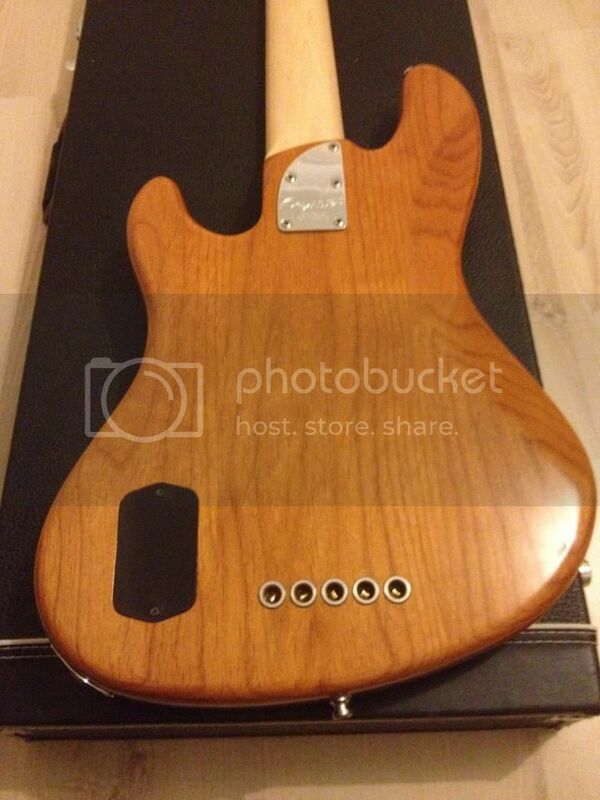 Reason for selling is it's been sitting in its case for few months now since I got my G&L. •Controls Master Volume, Pan Pot, 3-Band Active EQ with: Treble Boost/Cut: +/- 10 db @ 8kHz, a shift in the cut frequency, and about a 2dB slope per octave. Mid Boost/Cut: +10dB, -15dB @ 500Hz, and a wide band slope. 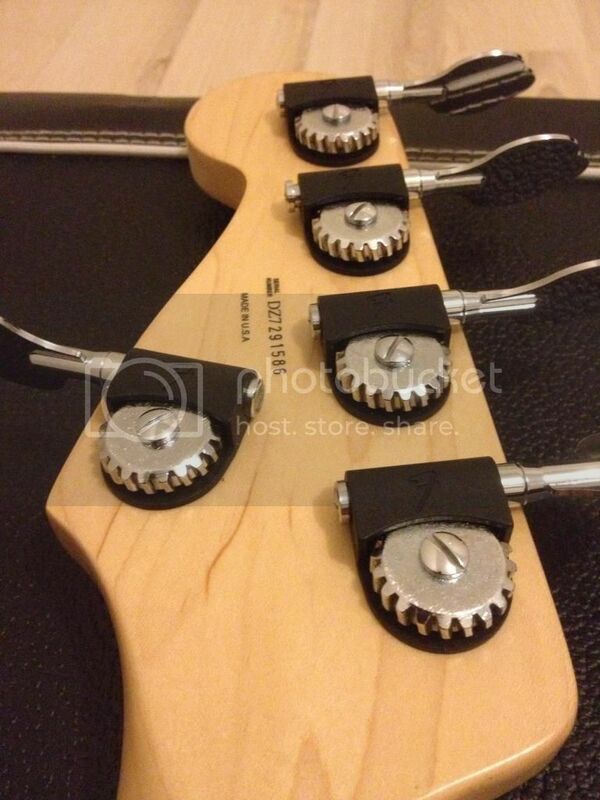 Bass Boost/Cut: +/- 12 db @ 40 Hz, with a 4dB slope per octave. Price is $1,600 shipped from Perth. Hardcase is included. Last edited by yusufsusanto on 30 Nov 2012, 13:38, edited 2 times in total. GLWTS. Do you still have the MM J? There's a bid, so you can update the status as "Sale Pending"
Kanye West wrote: My greatest pain in life is that I will never be able to see myself perform live. wilbur88 wrote: GLWTS. Do you still have the MM J? 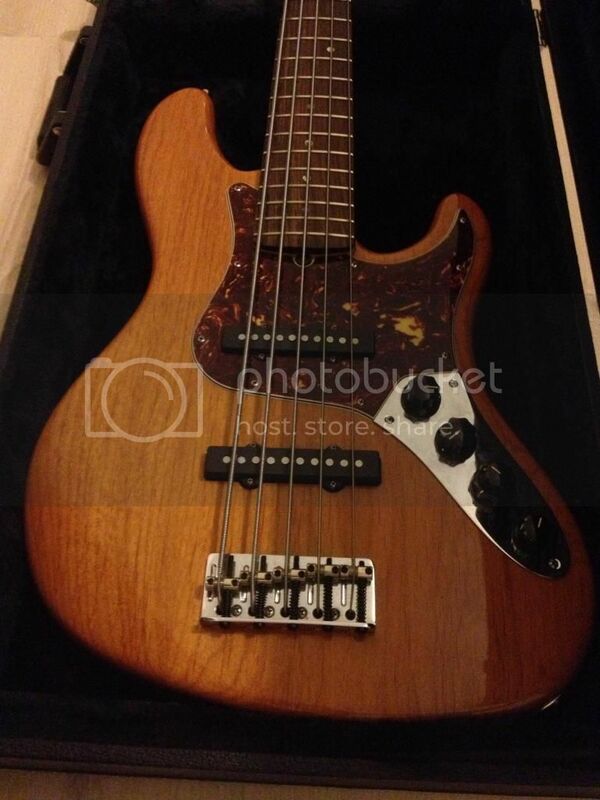 PilbaraBass wrote: There's a bid, so you can update the status as "Sale Pending"
This is the most beautiful Jazz bass I have ever seen. 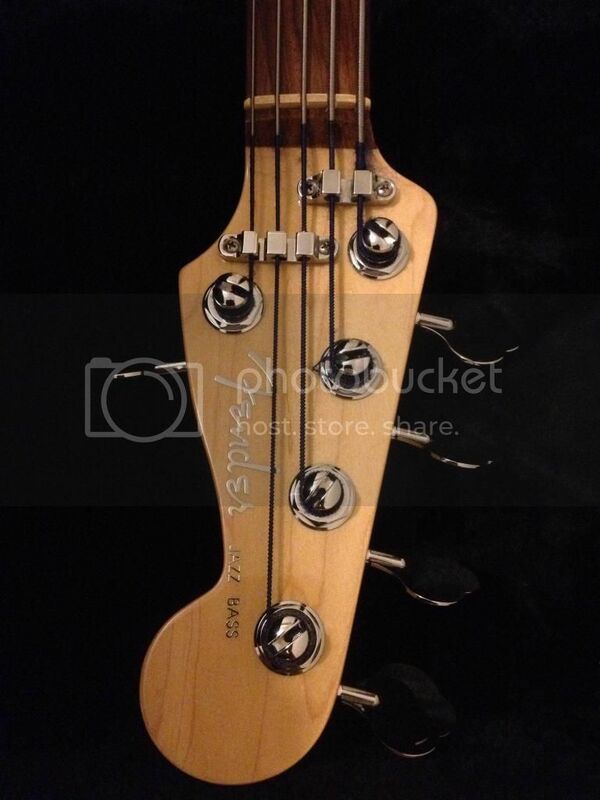 JFK wrote: This is the most beautiful Jazz bass I have ever seen. Thanks It does look beautiful. Now, it's SOLD, flying to NSW. Cool, I can stalk it! Thank god, it was driving me nuts watching it up for sale.